Sometimes, you perhaps have to create screen video recording on your computer desktop, from widely-used platforms, like Skype, Yahoo Messenger, Facebook, YouTube, Amazon, Twitch, Netflix, Spotify, Lync, Hulu, Google Hangouts and more popular ones. Though it seems recording is indispensable and critical thing in daily life, for the one who are inexperienced in recording, it is a risk to buy a high-paid one. As a result, seeking for a free video recorder becomes a top priority. To give you significant support, we here show a hot list for 5 best free video capture software in this article. Let's see what they are. 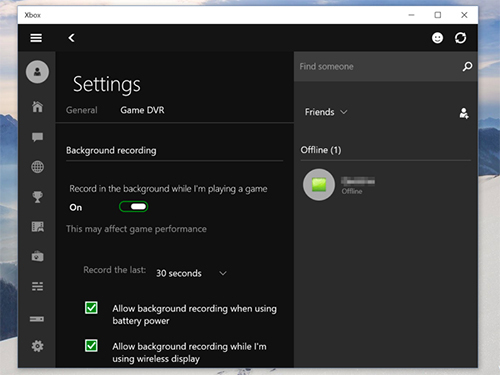 If you run Windows 10 operating system, why not directly use the built-in free screen video capture software, Xbox DVR? This easy-to-operate tool can do well in recording game videos and taking snapshots with just few clicks. Another excellent capturing feature come from Xbox DVR is that you can even record the object on the screen or in the background on Win 10 for up to 4 hours. Moreover, you can change both audio and video quality settings at you please. But you should note that there is no way to highlight your cursors during recording process and it will regard all activities as gameplay as well. Similarly, Mac OS also comes with a built-in screen recording program, called QuickTime. As an all-round workaround, it can be used to play, edit, record and share audio and video files at your disposal. This software is well developed with a clean and tidy user interface, making the whole recording procedure simple. 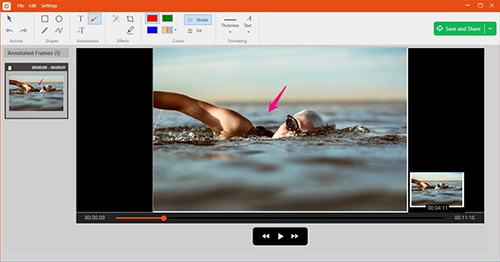 Essentially, this free video screen capture is able to do basic editing job for the captured videos, like trim, cut, split and flip, etc. You can enable its subtitle feature as well under the view menu or save the video into other formats, such as WMV, AVI, MKV, etc. It is also available to record camera along with the screen of your iPhone, or grab audio from system and microphone as on your Mac. TinyTake is another free video recorder you can take into consideration. It is compatible well with Microsoft Windows and Mac. In terms of recording, it's indeed a trustworthy choice. You can record an ongoing video activity or capture a video by making use of webcam. Furthermore, it allows you to capture a certain region, a window or an entire screen in the way you like. You can even zoom in/zoom out your captured video file based on your preferences. Having accomplished a recording process, you can get a chance to preview it and then output it to your hard drive, YouTube, or TinyTake's cloud storage location, which offers 2GB free space for your videos. 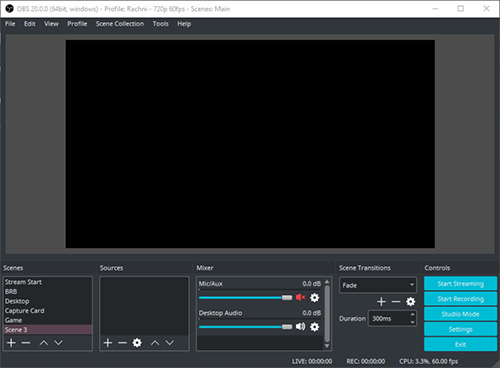 Here OBS, competitive free screen video recording software, is a cross-platform tool that can work in high efficiency on Windows, Mac and Linux. As a streaming tool, it is applicable to broadcast a live stream on YouTube, Twitch, DailyMotion, Smashcast, Facebook Live, etc., during which you have right to utilize the Studio mode to add diverse texts and images. Taking the aid of this compact tool, you can get new recording experience by benefiting from its image masking, color collection, high-grade audio mixer, visual filters, etc. To delight you, it also delivers a perfect platform to select desired interface by setting up distinct themes, including day mode, night mode, etc. 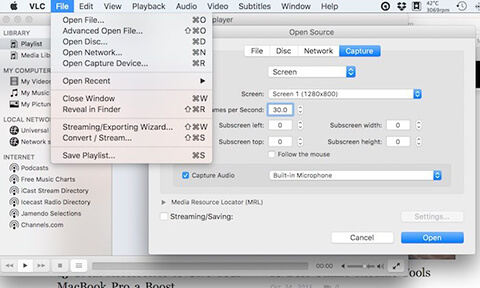 VLC is a reputable free screen video recorder for Mac, Windows and Linux, with which you can readily capture any video clips from your entire desktop and save it to designated format. To a large extent, it can be considered as a stress-free tool as there is no spyware, no user tracking and no ads when you set about creating a video recording. With uncluttered operating interface, VLC offers capability to record high-quality video from screen and webcam effortlessly. In brief, this forthright solution can come in handy and fit for your expectation if you just require basic recording functions. Otherwise, you have to look further and find more. Fact is that not everyone can exactly find a proper one from above top-ranked 5 free screen video recorder tools. Or you might starve for a more advanced video capture program and don't mind cost your money. On this occasion, we highly recommend Joyoshare Screen Recorder for Windows (or Joyoshare Screen Recorder for Mac) for reference. This comprehensive software is capable of recording any desktop video and audio activities with high quality in any format. 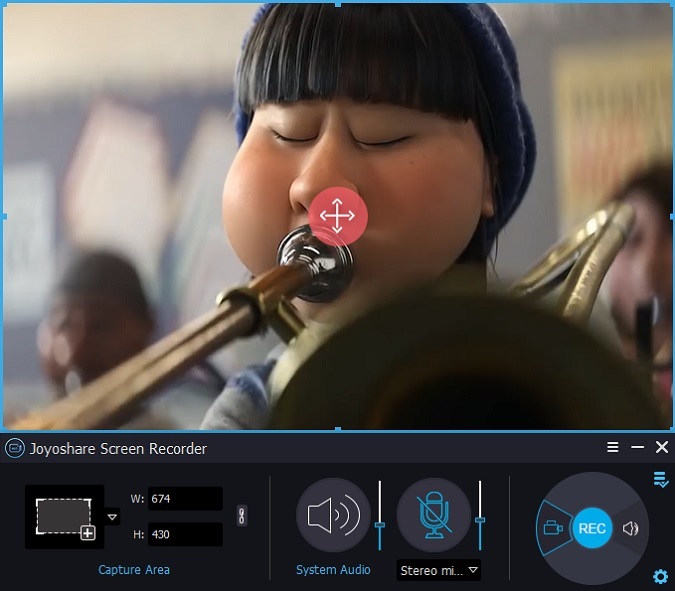 Amazingly, it provides absolutely flexible solution, with which you can skip any unwanted segments, cut recorded video to different sections, spotlight cursor movements, specify configuration info, etc. Best of all, its built-in task scheduler also facilitates you to create recording assignment as per actual needs.